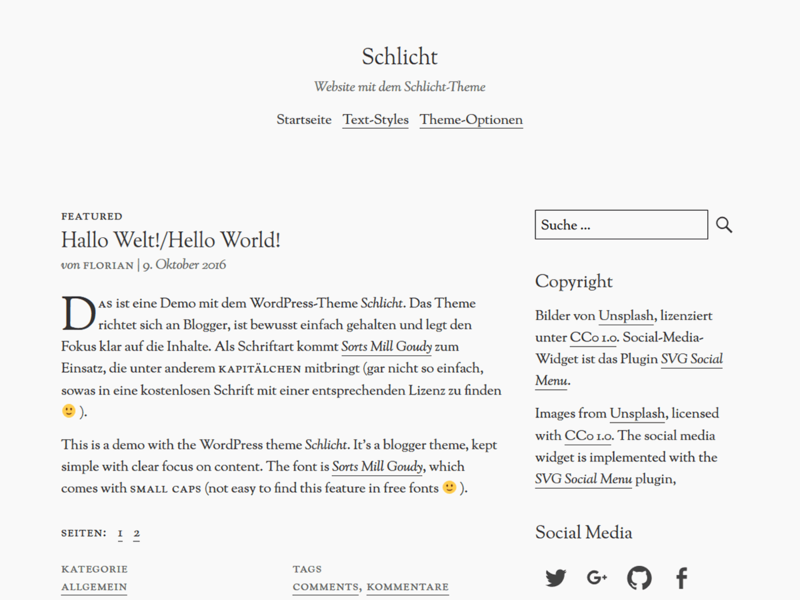 Today I publish my first paid WordPress theme Schlicht. Bloggers are its target group, and the theme focuses on the content. Automatically and/or manually insertion of drop caps. Alternative layout, which displays the title, date and, author name in a column beside the post’s content. Menu in header and footer. Widget area in sidebar and footer. To get a better impression, just take a look at the demo site of Schlicht (there is also a demo for the alternative layout). You can find more information about the theme from the theme page – there you can also buy it.